Finding Business Value in Those "Stupid Facebook Games"
"I don't have time to waste on Facebook games"
"There's absolutely no point to playing Facebook Games"
"I can't stand getting 800 Facebook Game invitations"
Yeah, I admit it is kind of annoying after the 742nd time you get invited to play Mafia Wars, or other games that at the core hold no interest to you. Quite frankly, after playing Farmville on and off for a few months, I finally got to the point myself thinking "What's the point"? So I took a hiatus, and ended my Farmville days for a good 4-5 months. I thought that I was done. But then my good friend Heather convinced me to jump back in the fold with a new game, Cityville. It's basically the same concept as Farmville except you are in control of building an entire city. Along the way you deal with a variety of easy challenges, such as supplying the local business vendors with goods, collecting rent, building infrastructure, working together with your friends to help their cities, and making sure your consumer population is kept happy as much as possible. Sound anything like what you do in business each day? Planning: As your business grows, you need to continually plan ahead to make sure everything continues to run smooth, and it is growing the way you want it to grow. Organization: Every once in a while you can notify your friends about special coin bonuses and other things that you can post to your wall. 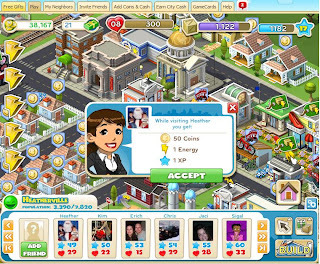 Because I don't want to annoy people that are not playing the game, I decided to create a special list in Facebook just for my friends that play CityVille. It only took about 10 minutes to build, and now I don't bother anyone but people that play the game, and are happy (I hope) to see updates on my wall. We have a great video tutorial on our free Rockland Web Design Help Forum which shows you how to build lists in the new Facebook (as of Dec 2010. It'll probably change in 6 months). Logistics: Sometimes you'll run low on supplies. You need to have shipments arrive or farm crops harvested to supply your local businesses, to keep customers happy. Energy: If you do too much yourself, you'll run out of energy. (Sound familiar?) So you need to pace yourself, or try to get other neighbors to help you. Helping others: When you visit and help other neighbors, you can actually gain energy, experience and a few extra dollars. It is probably one of the most important reminders of the game, that if you do unto others as you would want them to do unto you, it will benefit everyone in a Good way. Growing: You'll also gain cash and property rewards (sorry, only virtual) for your efforts. But don't get too hung up on that part. As even Donald Trump said in "The Art of the Deal", he was never really that interested in money, except as a scorecard. Fun: Sometimes if you give yourself a break and distract yourself with a silly game like this, it actually makes you feel better. Imagine that. :-) Oh and also it might make you more productive. A recent study by the University of Melbourne indicated that using Facebook or Twitter at work can help you and other workers more productive by 9%. Talk with a few of your trusted friends about their favorite games. If you hear of one that may entice you, check it out. Be careful of your privacy settings. 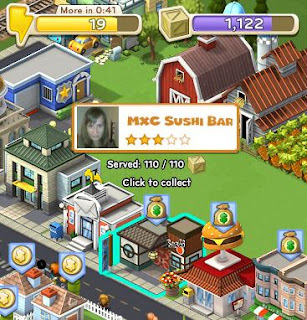 As you probably know, many Facebook game makers (notably Zynga) take lack of Privacy to a terribly new level. 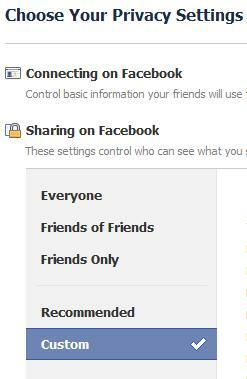 Before starting, go to the Account >> Privacy Settings in the top right corner of your Facebook account and change or remove anything you don't like. My best rule of thumb for privacy on Facebook is to never put any info (Your real birthdate, private email address or private phone number) on the platform that you don't want the world to know. I know it sound scary, but it isn't as long as you follow that simple rule. Don't sign up for games that make you look bad. Not that I have anything against people that play Drug Dealer Shootout Part III (no that is not a game, stop looking for it), but I don't want to play something that might post to friends that I do business with. Thus, I don't play such games. If you are in the public eye, just be careful what you sign up for. You never know when a fundamentalist radical, um...person might let the whole world think that you did something bad, even if you didn't. Sign up for the game. Again, when you are told that the game will access some of your information, be careful not to give away anything you don't want to hand over. If you feel too uncomfortable, don't sign up. Follow the basic game instructions. 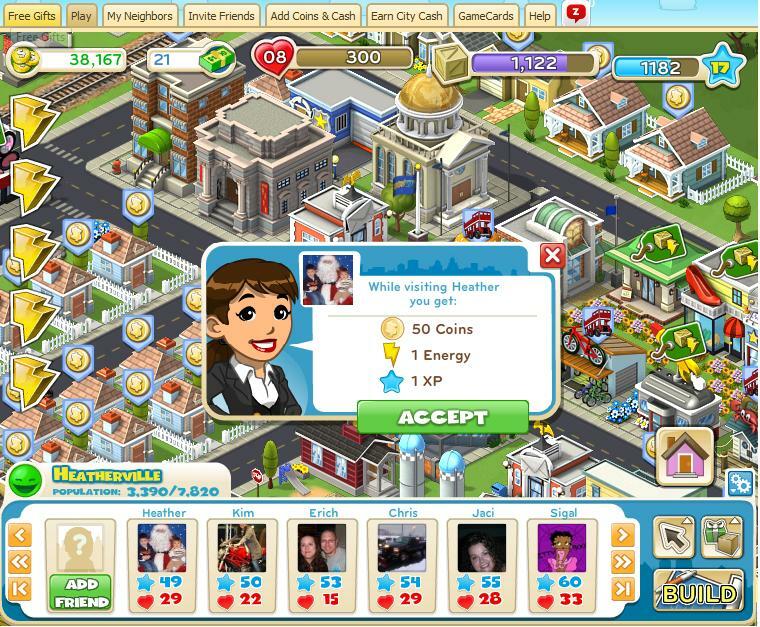 You'll likely be walked through a few quick tutorials on how to add friends, perform tasks and gain bonuses. This will be the enjoyable part, so just go with the flow. Likely you'll want to add some neighbors; seek out those that are already playing the game, or are cool with you inviting them. Don't send to people that you feel are not interested, it will simply piss them off. Oh and a side note - you don't need to pay real money in most of these games. Yes the game will go slower, but again it is just a game. Work with your neighbors to achieve goals and you will advance anyway. (Disclaimer: I am not saying the game makers do not deserve money, they worked hard to develop it. If you truly enjoy the game, consider visiting the company's site and looking into making a small monetary, one time donation. Give yourself a time limit when playing. Again, everything in moderation. I recommend about 15 minutes. Set some sort of timer, because these games can hook you for hours if you are not careful. Know when to end. At some point, you're going to start to get the feeling that you've mastered the game, you've learned all there is to learn, and there is really no point to playing anymore. Unlike real relationships - which God willing will always have a new dynamic to them until the day we leave this existence - we must remember that this is merely a game. Thus, at that point you should really consider packing it in. In this case, do the polite thing and let your friends know that you are calling it quits. Then, if possible see if you can delete all your settings in the game, so that you don't leave any personal information with a company that has come to an end of its usefulness. I hope this blog was useful to you. I always try to find some sort of reason for why we do the things we do. Some businesspeople will still look at this post and say "Are you nuts? There is still no ROI! Where's the ROI??" To this I say that the investment you make is a little bit of your time, and the return is a new experience that, like many others that we encounter, help us to see life just a little more different than we perceived it before. After all, isn't that where the fun is? Try it out. You might smile a little more today.